1.1.1 So, how do weighted blankets help people sleep better, improve focus and more? 1.4 Sensory Goods Blanket: How effective it is? Sleep is extremely important for the human body to function properly and optimally. For example, people with autism spectrum disorder (ASD) have a problem processing sensory information, making them unable to function and rest properly. They may also suffer from sleep disorders like the rest of the population on Earth. Sensory Goods provides a good way to help people with sensory disorders and sleep issues to have a good night’s sleep through their sensory products. The goal of the company is to meet the needs of individuals with developmental disorders as well. 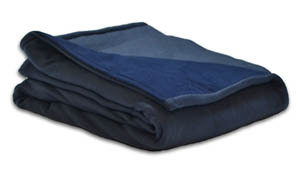 The Sensory Goods Weighted Blanket is a popular choice for those with these conditions, promoting the reduction of symptoms and promoting improved sleep quality. I had the chance to try the Sensory Goods for my anxiety. My condition started a bit over a year ago and since then, I had a hard time falling asleep and staying asleep through the night. For the two weeks, I’ve tried the Sensory Goods product, my night sleep was much better than expected. Here’s a detailed review of the heavy comforter and how if it worked miracles for me. Despite the fact that the Sensory Goods weighted blanket was originally designed for people with autism, it can help people with other conditions as well. These include attention deficit hyperactivity disorder (ADHD), obsessive-compulsive disorder, restless leg syndrome, anxiety, depression, and stress disorders. You can see all the benefits you can expect from the extra weight in your sleep cover. So, how do weighted blankets help people sleep better, improve focus and more? The science behind them is the ability to provide deep touch pressure stimulation (DTPS). It’s a feeling of being gently hugged, held, and squeezed, which relaxes the nervous system. There are many ways to provide deep touch pressure like massage or special products. 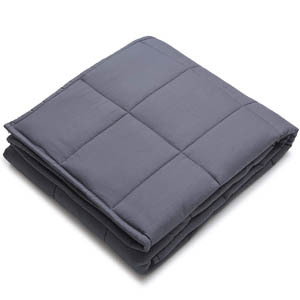 A weighted blanket is a special tool that aids in promoting relaxation and sleep, for various conditions like autism, ADHD, anxiety, restless leg syndrome, depression, and stress disorders, among others. When done properly, deep touch pressure stimulation will cause a chain reaction in the body, releasing an overall sense of peace, relaxation, and calm. DPTS helps increase the levels of serotonin in the body. It affects mood and other brain functions. Low levels of serotonin may cause various conditions such as anxiety, depression, autism, ADHD, and other disorders. 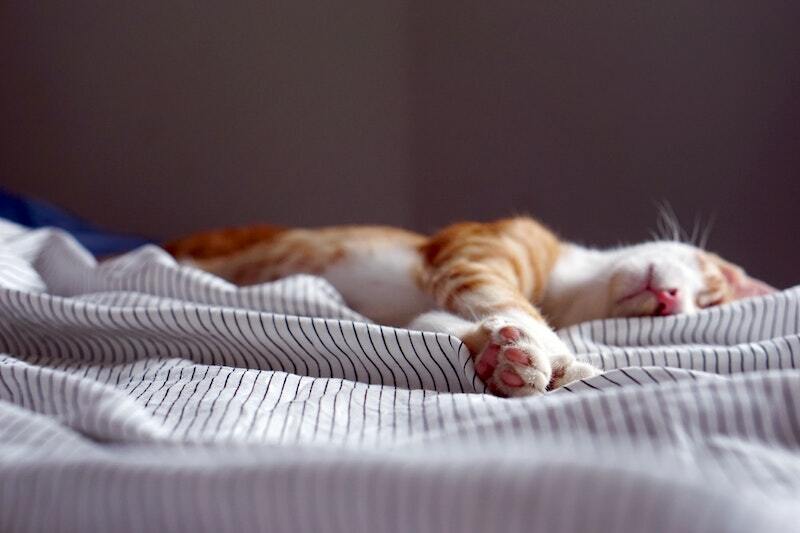 Improving the levels will promote an overall relaxing feeling, helping people to sleep better. In people with autism, they are stuck in the sympathetic nervous system or the “fight or flight” mode, making it hard for them to relax. Even when they seem to calm down, it will only take a little to retrigger the system. Deep touch pressure can help the body’s nervous system to switch to the parasympathetic mode, which is the “rest and digest” mode. It has similar effects to people with anxiety, it helps them relax and calm down. 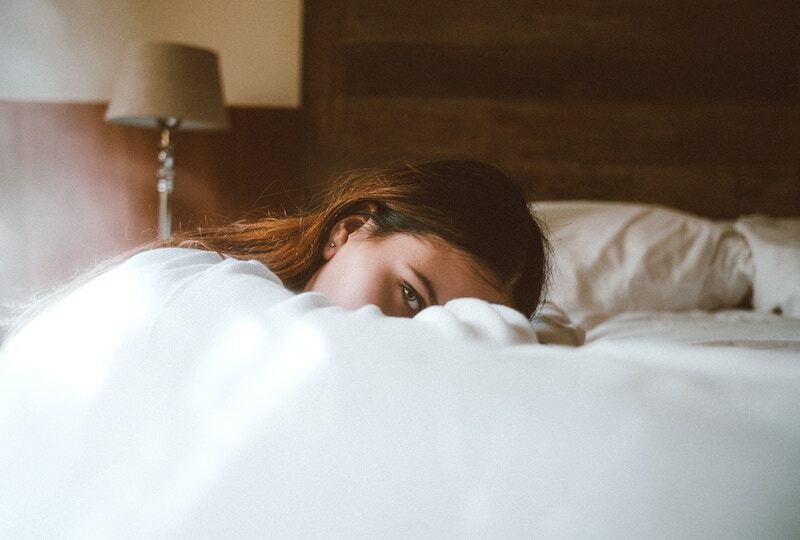 Anxiety stricken people are always on their “fight or flight” mode, intervening with daily life activities including sleep. Though the Sensory Goods Weighted Blanket were originally made for children with autism. Adults can also order for other conditions too, such as sleep disorders and anxiety attacks. What I liked about the company is they offer custom-made solutions. 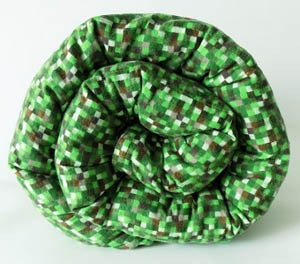 This means that the comforter is custom-made by hand once you order it. Don’t fret because it will not take long before your new toy reaches you. It just took them two business days before they shipped mine. When shop around on their site, you can choose from a broad range of pattern and color combinations. You can also choose the weight that fits your body size and the filling material you prefer. The size varies from small, medium, to large and extra-large. The small size variants are for children and there are many weights you can choose from such as 3 pounds, 4 pounds, 5 pounds, 6 pounds, and 7 pounds. The medium-sized weighted blankets range from 8 pounds to 13 pounds, the large-sized ones range from 14 pounds to 20 pounds and the extra-large-sized ones come in 21 to 25 pounds. After determining the right weight for you, which is computing 10 percent of your body weight, you can choose the pattern or color options you like. For the price, you can buy small comforters for as low as $56.99 and extra-large ones for as low as $170.99. There’s nothing like a well-made product to make you feel comfortable, safe, and cozy. This is the purpose of weighted blankets, make us feel cozy, mimicking a hug, to reduce the symptoms of our conditions and promote quality sleep. What I like about the Sensory Goods Weighted Blanket is its build quality. Despite it being handmade, you can customize not only its look but also what you want inside. The company offers two filling options, glass beads or plastic beads. I guess this is better because their customers can have the option to choose the filling. Plus, all the beads are placed in individual pockets to make sure that the weight is evenly distributed. Another plus point for the product is the fact that I can wash it because of its washer and dryer safe. Other products lack this feature. With the quality feel of the blanket, I know it’s durable and is made to last. Sensory Goods Blanket: How effective it is? Sensory Goods products are made not only to be aesthetically pleasing but also therapeutic and effective to use. It feels very good to touch and provides warmth when you use it. For me, I noticed that after two weeks of using it, I slept better. When you have anxiety, it’s very hard to sleep well at night because your brain is hyperactive. During panic attacks, you will feel your heart racing, intervening with sleep. But, while using the weighted blanket, I observed that I slept faster and better at night. I also had straight sleep, compared to using ordinary blankets that I always wake up in the middle of the night. The weight is evenly distributed, making me feel as if someone is hugging me. Overall, the weighted blanket is effective and I felt refreshed every morning. The Sensory Good Weighted Blanket is cheaper than most other brands on the market for no particular reason, really. You get a high-quality and premium-made product for a fantastic low price. What more can you want from it? After using the blanket, I can highly recommend it not only to people with sleep problems but to all healthy people as well!!! It will make you feel relaxed and comfortable, promoting good sleep and total relaxation. I love the way the company lets you customize your weighted blanket based on your preference and body weight – you get so many options it is easy to get lost in them. Additionally, you get to choose what filling to use – glass or plastic pellets, the fabric choice and everything – total custom product for a fantastic price. Overall, it’s a superb handmade product for people of all ages. It’s definitely a must-buy! Just make sure to get the right size for you and be careful using it on kids.